Welcome to Macro Chemie Polymers, Manufacturer and Exporter of UHMW Polyethylene and Caster Wheels. The company was incepted in 1980 at Ahmedabad. Singapore, Indonesia and Bangladesh are some of our major markets. We are well known in the market for our transparent business transactions, High tensile strength and durability. We present a rich collection of Polyurethane, Industrial and Stainless Steel Castor Wheels. Plastic Conveyor Components, Polymer and UHMW Wheels offered by us are extremely reliable. 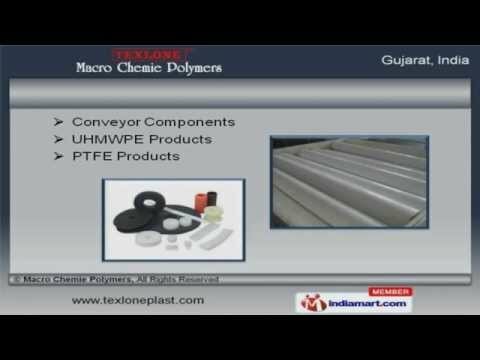 We also provide Conveyor Components, UHMWPE and PTFE Products that are well known for their durability. We have gained tremendous expertise in providing Nylon Products, Industrial and UHMW Conveyor Rollers. We are one of the trusted names of the industry engaged in offering genuine quality Pressed Steel Casters, Industrial and Polypropylene Sheets. We are instrumental in offering a high quality range of UHMW Products, Polyurethane and High Density Polyethylene Sheets.